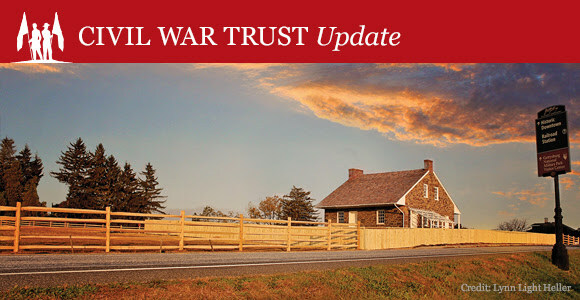 Both the humble stone house known as the Mary Thompson House after the home’s sole resident during the battle and the property were preserved and restored by the Civil War Trust. Sunday’s show will feature Trust President James Lighthizer and Director of History and Education Garry Adelman. The program will also showcase many of the house's Civil War-era artifacts, including the deed to the Mary Thompson house, shutters riddled with bullets during the battle, and a chair thought to have been in the home in the 1860s. The program will air on Sunday, March 5 at 6 p.m. and 10 p.m. Eastern on C-SPAN 3. We hope you’ll tune in!